Employees simply want to feel valued for what they can add to an organization as an individual. While each generation has different norms when it comes to doing business, we all have unique skill sets, personalities and work habits that we bring to the table and make us stand out. After all, that’s part of the reason we were chosen for a specific position. Don’t make employees conform to one way of thinking - embrace different working and learning styles. Unique perspectives and ideas are a benefit to a workplace. If an employee has a unique way of doing things, but still gets the job done, it should be respected – not changed. According to a Brandon Hall study, nearly half of the workers in the U.S will be Millennials by 2020, yet 84% of businesses anticipate a shortfall in the number of qualified leaders over the next five years. 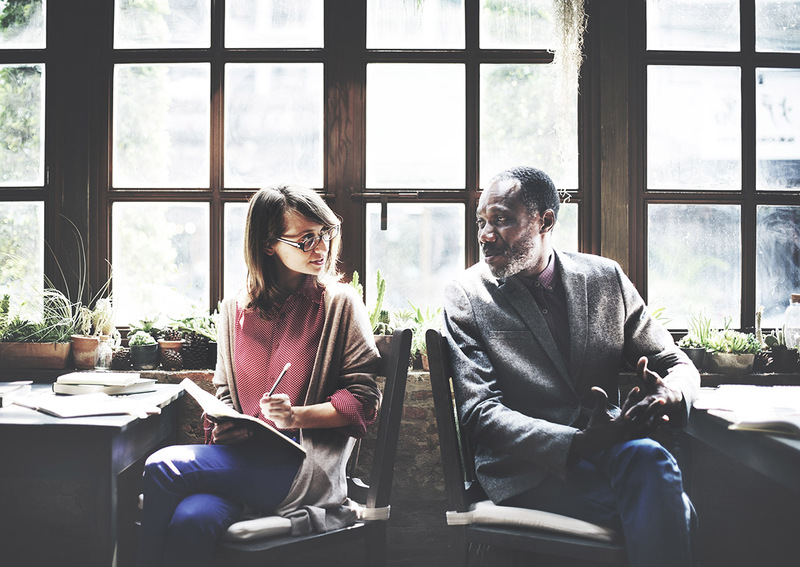 With an increasing leadership gap, creating a corporate mentoring program can allow future leaders to learn from seasoned executives, while also giving employees of different generations the opportunity to learn from each other. Mentoring can have a positive effect on both the mentor and mentee, and can help increase an employee’s skills, confidence and engagement. In fact, a Gartner Group study notes that retention rates were higher for mentees and mentors than for other employees. Corporate mentoring is a win-win for every party involved, and gives employees who wouldn’t normally interact with each other the chance to communicate and grow. Categorizing employees by generation can divide and decrease the cohesiveness of an organization. While generational differences can help organizations and management understand the generalities of how people work, how they were raised, and the values important to them, the negative aspects of each generation receive the most attention. As a Millennial, I personally wouldn’t want someone labeling me as “an entitled job-hopper,” just like a Baby Boomer wouldn’t want to be known as someone who “is set in their ways and doesn’t want to grow with technology.” Generational experts have noted that nuances in the workplace have more to do with individual expectations rather than overall generational expectations – and these differences usually align more with a person’s stage in their career, not their year of birth. An organization with a positive workplace culture doesn’t focus on the things that keep generations separated, rather what we all have in common. Despite generic generational differences, we are actually quite similar when it comes to workplace needs. According to a study by the University of North Carolina Kenan-Flagler Business School, Baby Boomers, Gen Xers and Millennials all expect work-life integration, the chance to work on challenging projects, advancement opportunities, fair treatment, and competitive salaries and benefits from their employer. Employees just want to feel valued, listened to, heard and respected. According to Bersin by Deloitte, every generation in the workforce expects more when it comes to making workplace culture a high priority. To create an inclusive culture, organizations can encourage comradery between employees of different generations by hosting various events and group activities throughout the year to get the entire organization involved. This will allow employees to get to acquainted with others outside of their department on a more personal level. The hope is that they will discover commonalities they have beyond just the generation they were born in such as hobbies, their families, what they enjoy outside of work and more. Feeling connected at work is a universal need, and the first step is allowing different generations the opportunity to find commonalities with coworkers. When an employee feels accepted at work, they will be more likely to contribute and share innovative ideas and thoughts with management and coworkers, and that starts with creating a positive environment where relationships can be made based on personal preferences, not generational.